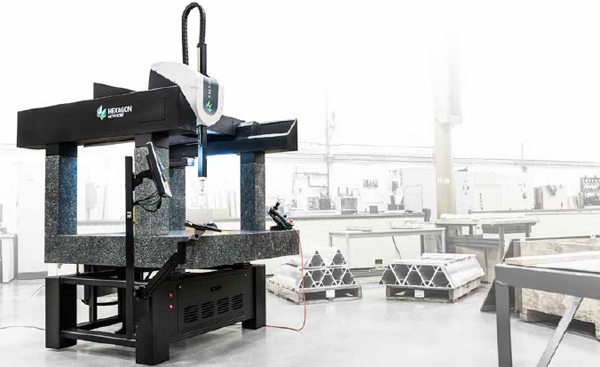 Our Hexagon Metrology 7.10.7 SF is state of the arts equipment for measuring dimensions accurately using CAD drawing datums as references. This particular model is designed for operating in machine shop floor conditions and its performance is not affected by the standard machine shop’s atmosphere. What are the capabilities of the CMM 7.10.7 SF Hexagon? We combine the latest precision machining and turning processes coupled with the highest quality technology tools on the market to deliver high quality, on-demand parts. Our typical tolerance accuracy ranges from +/-0.001″ to +/-0.005″ for metal depending on customer specs. For more information on our capabilities or to receive a quote for your next machining needs, fill out the information below, and we will be in contact as soon as possible.